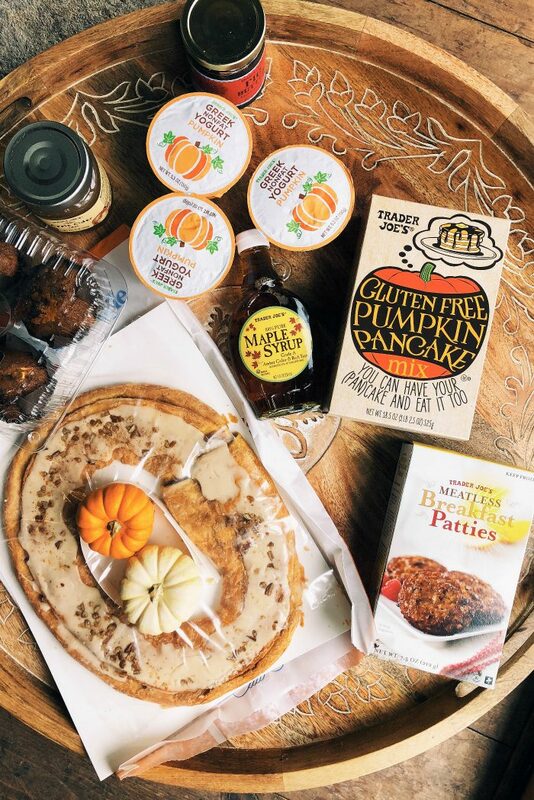 Purchase these food items at Trader Joe’s to serve a Trader Joe’s EPIC Pumpkin Pancakes Board for your next large gathering! Delicious for the holidays! 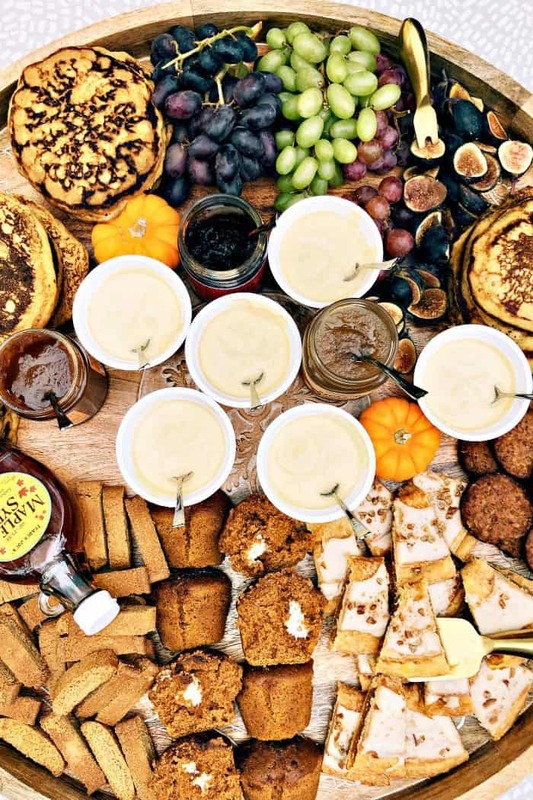 It wasn’t long before my basket was full, and we whipped up some pancakes, and enjoyed this epic breakfast board for brunch! The colors are magnificent this year so I can hardly stand it! They honestly make me pull the car, stop and get out and walk around. Do you ever do that? And the smells of autumn. The wood burning stoves, scents in the kitchen, and then there’s “pumpkin” which I love. 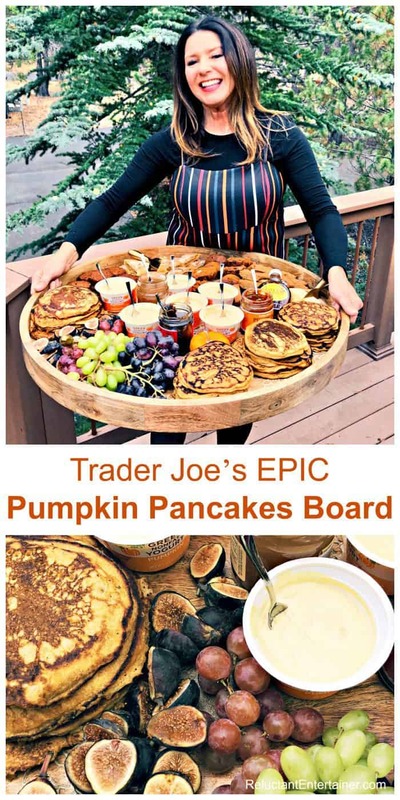 Which is where I got the idea to make this Trader Joe’s EPIC Pumpkin Pancakes Board. Don’t you love a “one-stop” store, where you know you can pick up everything for one meal? 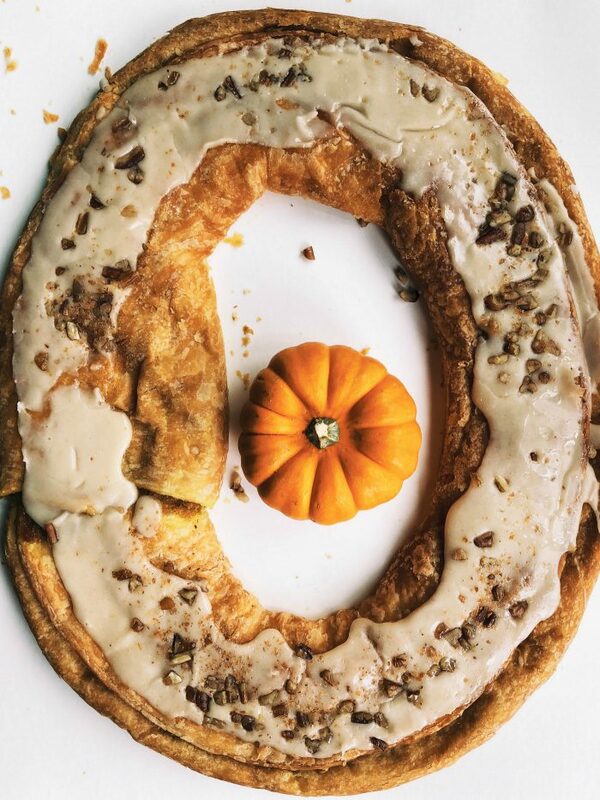 From the pumpkin pancakes to the (our favorite) pumpkin kringle (I noticed they are making these smaller now, which is perfect), add in figs and grapes. 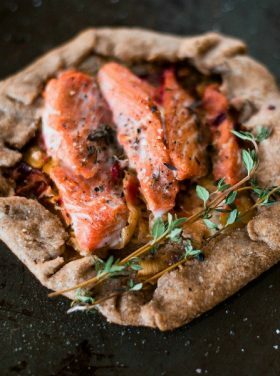 How to keep the food hot? Everyone asks how to keep the food hot, when serving on this board. 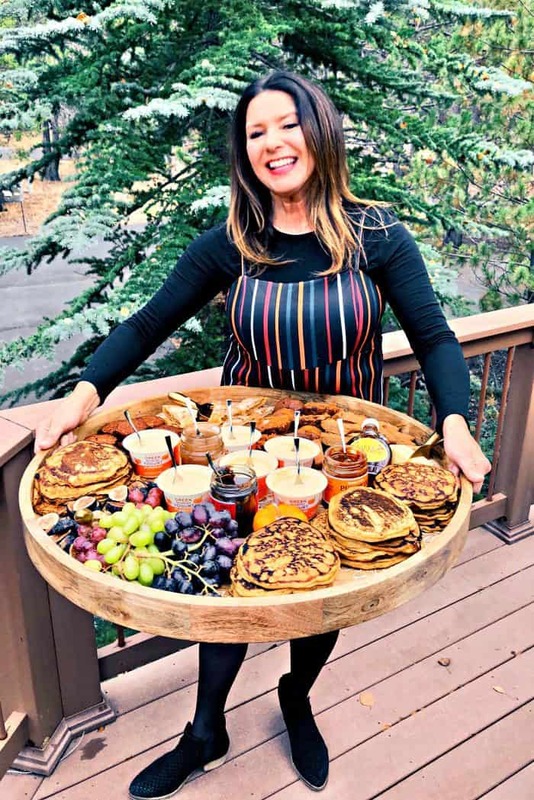 My easy answer, and what we did for this board, is to make the pancakes and keep warm in the oven. Then serve everything hot at the same time and DIG IN. 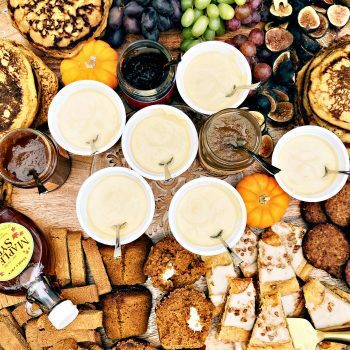 Creating a meal for others, like serving this breakfast or brunch board, only strengthens our connection when gathered together! 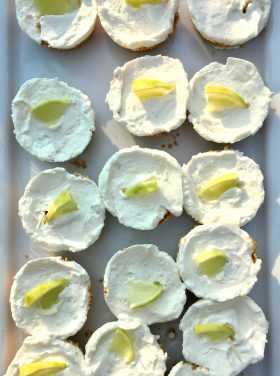 Set it out with plates and drinks. Napkins and forks. Say a prayer before eating. We have SO much to give thanks for. We acknowledge that we are sharing this experience of eating together. And expressing our gratitude binds us more firmly together as a family, and to friends! 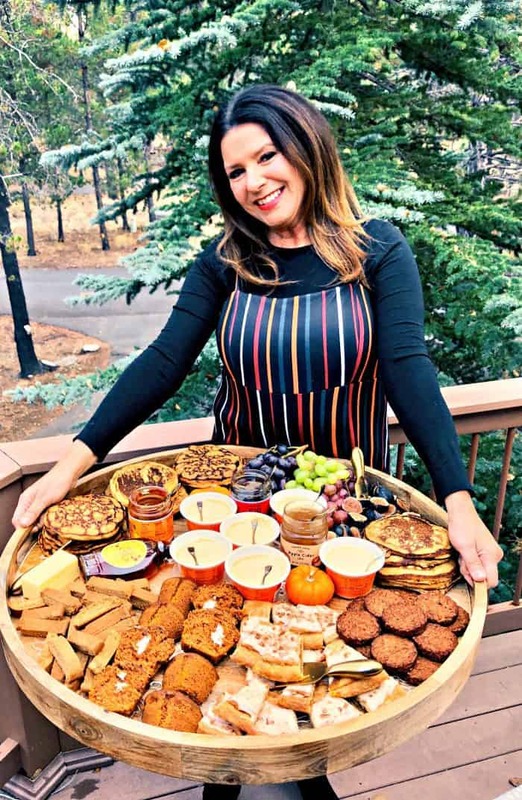 All things on this board were purchased from Trader Joe’s! Preheat oven to 350 degrees. Bake the breakfast patties according to package directions. 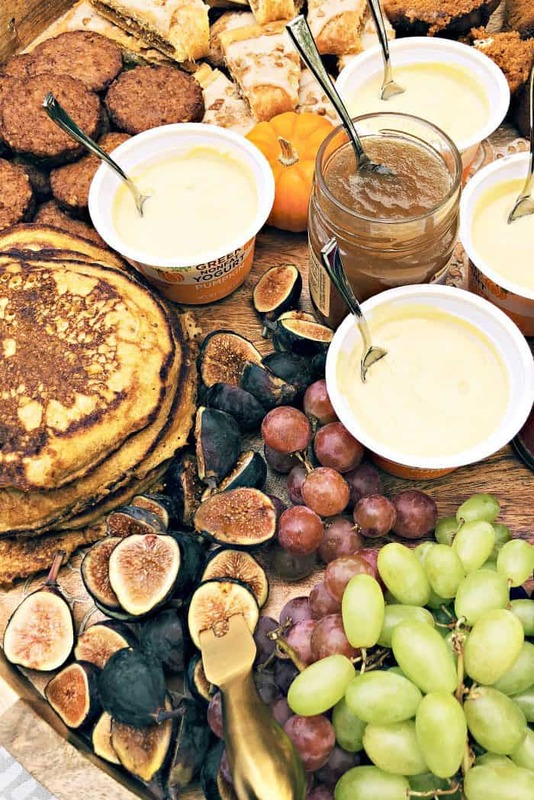 While patties are baking, mix and make the pancakes, stacking high to keep warm. 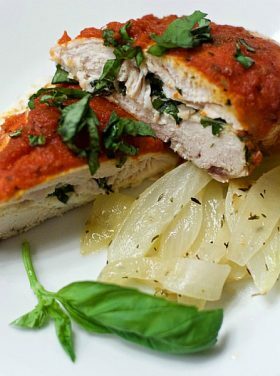 If need be, lower the oven to the warm setting, and keep in the oven while you’re preparing the board. 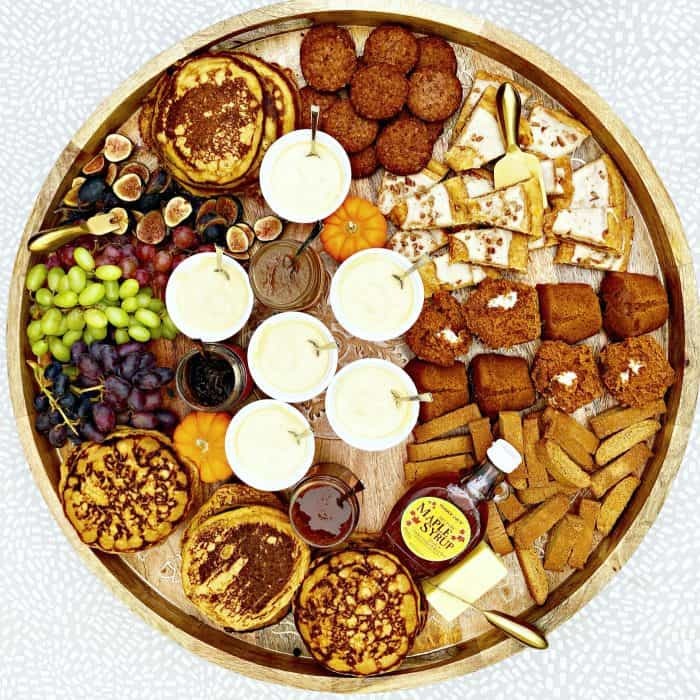 On a large board, arrange all the food items, with the yogurt cups in the center. Add spoons and utensils. Poor the syrup into a small pitcher. 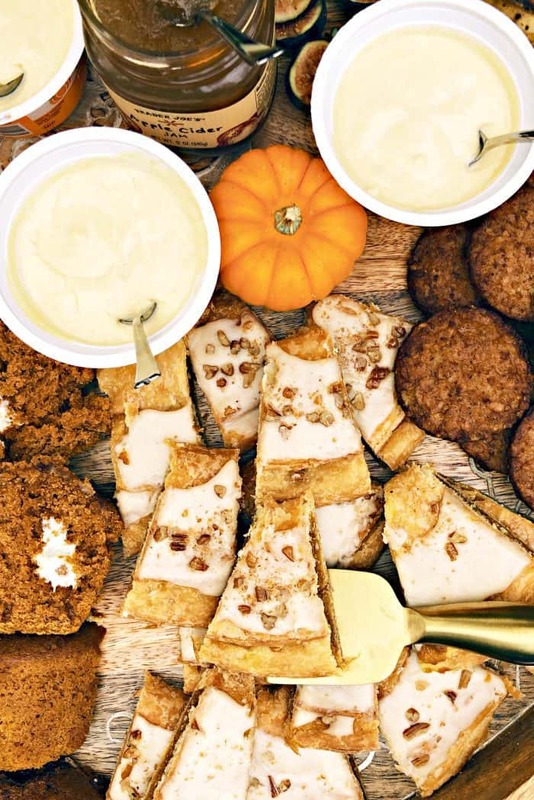 More pumpkin recipes: Pumpkin Cream Cheese Muffins [The Food Charlatan], Layered Pumpkin Coffee Cake [Barefeet in the Kitchen], and Pumpkin Pull-Apart Loaf [Crazy for Crust]. I bought in the store at Pier 1. I love this idea!! 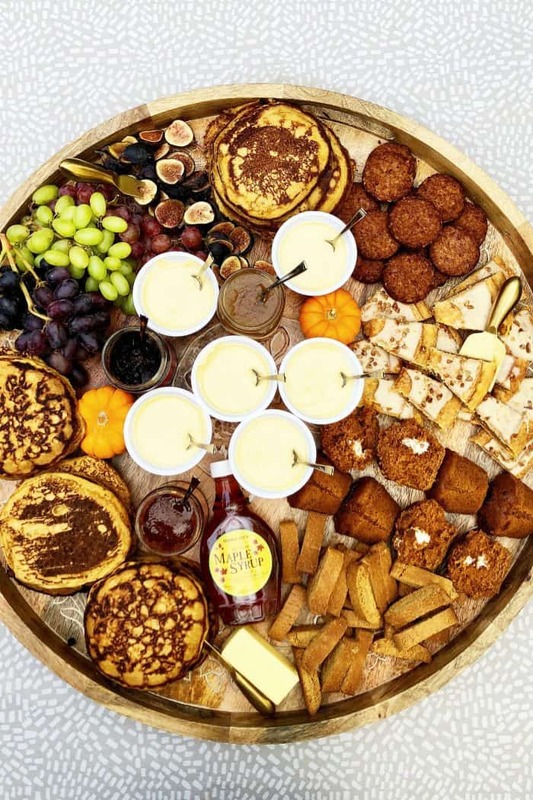 I never thought to do a breakfast board!! 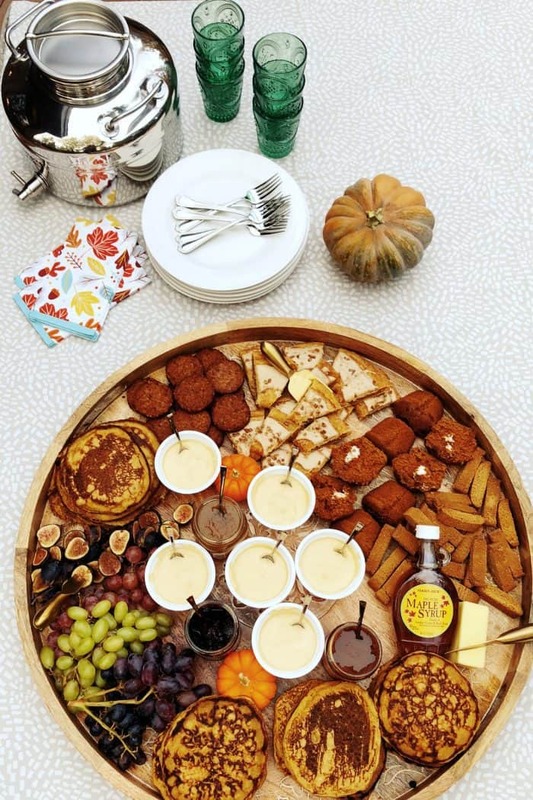 What a fun way to entertain for brunch! What do you place on the bottom of your board to keep the food from ruining it? Wax paper is so ugly! I have the same board and love it. You can lay down parchment paper, or we lightly sanded down our board and then seasoned it with beeswax and mineral oil.